A series of articles on most successful living Black Americans of our time. BM is proud to balance and diversify the mainstream narrative and perspective on professional successes of Black Americans. BM specially selected a few of our greatest achievers in all aspects of life bringing to bare their path to success so we all pick success tips from them. Stay focused and be motivated and inspired. A number of Blacks have chalked good success in the area of Arts. These are individual who are famous in America and all around the globe. This category ranges from the music industry, artwork industry and all other areas that add artistic touch to the American society. 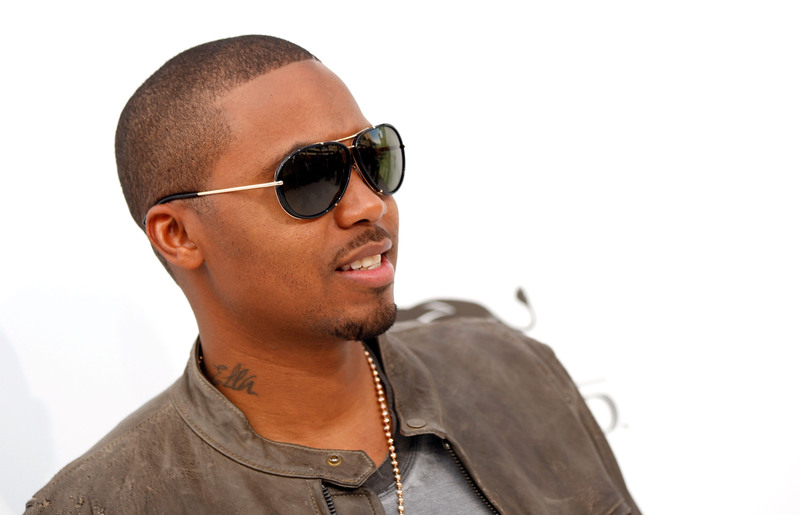 Nasir bin Olu Dara Jones is better known by his stage name Nas. He is an American hip hop recording artist, record producer, actor and entrepreneur. Born Nasir Jones, in Queens, New York, on September 14, 1973, Nas is the son of jazz musician Olu Dara. Nas dropped out of school while in eighth grade, and his life on the mean streets of New York City and he took to writing rap lyric. His debut album Illmatic released in 1994, received universal acclaim. As one of the greatest hip hop artists. MTV ranked him at number 5 on their list of The Greatest MCs of All Time. His life philosophy has always been to set records in the field of his career. Beyoncé Giselle Knowles-Carter is a singer simply known as Beyoncé or Sasha Fierce. She is an R&B artist who rose to fame as the lead singer of the all-girls group Destiny’s Child. Her career began with a bang—her debut album surprisingly won five Grammy Awards and sold close to 11 million copies worldwide. Her awards include International Artist Award for best female artist, Billboard Millennium Award for best music and Legend Award for Outstanding Contribution to the Arts. Despite racial issues she had along the way, she looked beyond color and today, she is a celebrated R&B artist. Known as Christopher Maurice, Chris is very talented at singing, dancing and makes graffiti. He was born in the small town of Tappahannock, Virginia to Joyce Hawkins, a former day care center director, and Clinton Brown, a corrections officer at a local prison. Music was always present in Brown’s life beginning in his childhood. He began to perform in his church choir and in several local talent shows. Despite a challenging upbringing, Chris managed to defy all odds and won his first Grammy award with his F.A.M.E. album. He is widely known for his stand-up on stage performances. Born Shawn Corey Carter in New York City, he is known for an array of successful business interests, as well as his marriage to singer Beyoncé. Raised in a drug-infested area, he has a rough adolescence yet he stood strongly against drugs and shot to fame as a young rapper. He encourages young talents not to experiment with drugs. As a Black American comedian, actor and producer, Christopher Julius “Chris” Rock shot to fame working as a standup comic and appearing in small film roles. Rock shot to great fame as a cast member of Saturday Night Live in the early 1990s. He also starred in several films. He was also voted in the United Kingdom as the ninth-greatest stand-up comic on Channel 4’s 100 Greatest Stand-Ups in 2007. Three years after, he was eighth-greatest stand-up comic on the list. He is a great inspiration to the Black fraternity. Born Willard Carroll “Will” Smith, Jr., is a renowned Black American actor, producer, rapper, and songwriter. illard Christopher Smith Jr, was born to parents Caroline, a school board employee, and Willard C Smith, the owner of a refrigeration company. Smith began rapping at age 12 emulating heroes like Grandmaster Flash but tingeing his rhymes with a comedic element that would later become his trademark. At 16 Smith met a DJ at a party by the name of Jeff Townes. The pair became friends and the duo DJ Jazzy Jeff and the Fresh Prince was born. He later moved into acting.In April 2007, he was named “the most powerful actor in Hollywood” by Newsweek. Smith has been nominated for five Golden Globe Awards, two Academy Awards, and has won four Grammy Awards. His acting prowess makes him outstanding as he motivates all Blacks that all is possible once you decide to achieve it. Erizku grew up in New York’s south Bronx, attending Art & Design high school with rapper A$AP Ferg. He graduated from Cooper Union with a B.F.A. in 2010. As he grew, he saw a lack of positive representation for members of the Black community with respect to high art. As his way of silencing Black-haters, Erizku subverted iconic works from the masters of Renaissance art—like Vermeer and Rembrandt, and others. To give Blacks a class, he primarily uses Black models. He inspires us to note that Blacks have an artistic natural beauty. “Easy to swallow, hard to digest,” that’s how Nina describes her artistic work. 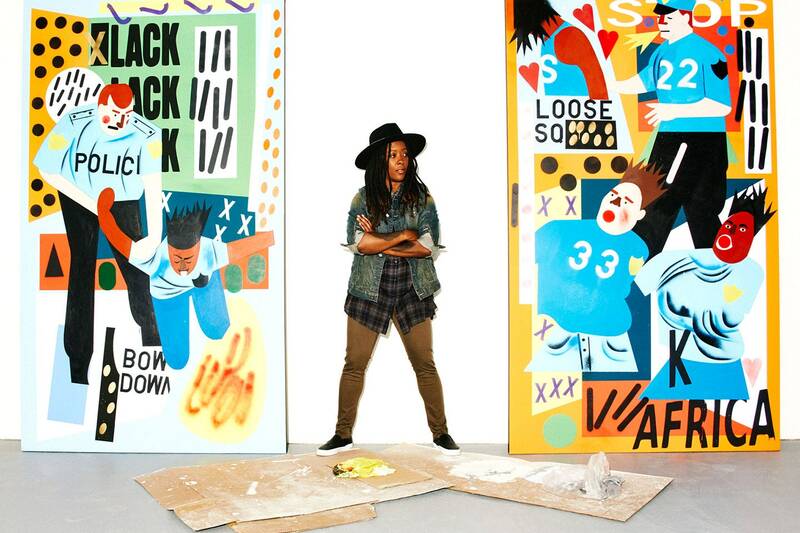 With a catchy subject matter of her art work she fuses a visually playful and punchy style. She was born in Chicago but is New York based. Her childhood was characterized by lots of racism shown to her. Her works presents her viewers the extreme ideas of pop culture. She is a proud daughter of the Black fraternity. These great people of color show us with their examples that being Black in America is not necessarily a curse. You can become successful whatever your skin color is. Stay Black and remain proud! Kindly SHARE this article on any social media of your choice to promote Black pride.